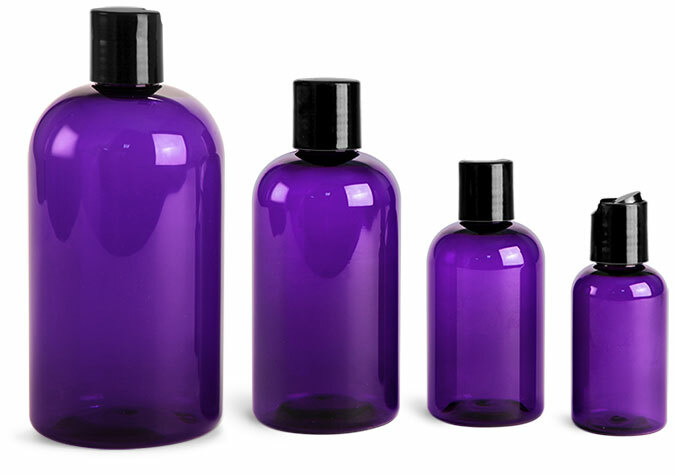 These unique purple bottles could make excellent makeup containers! 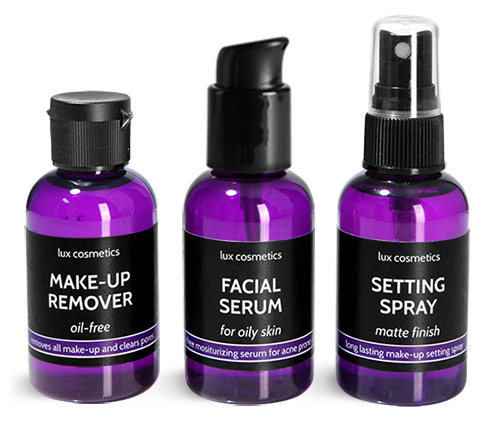 Try using these bottles for products such as makeup remover, facial serum, and makeup setting spray. 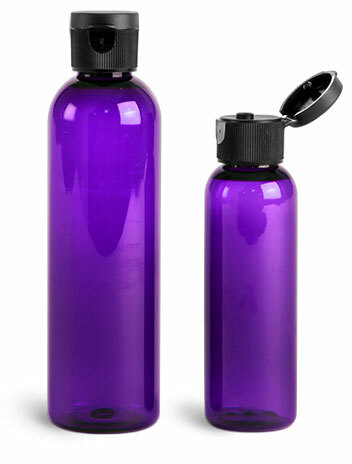 These boston round bottles are paired with a variety of caps allowing you to choose the ideal cap to dispense your products. 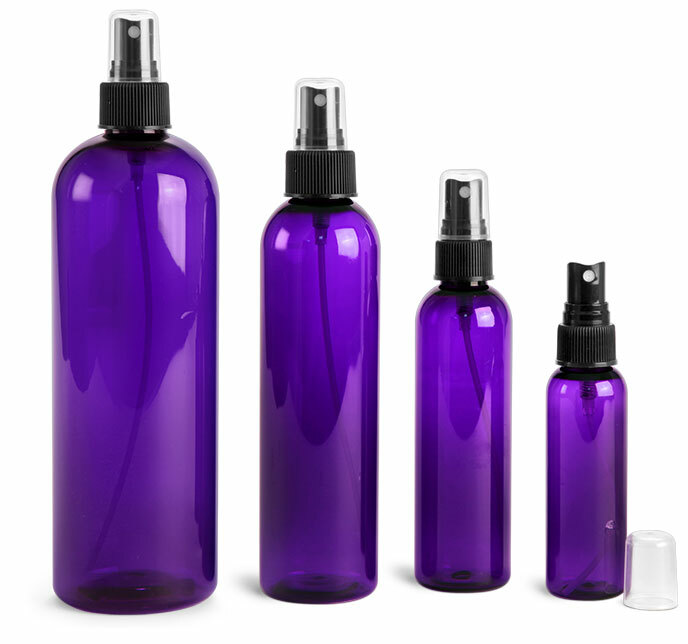 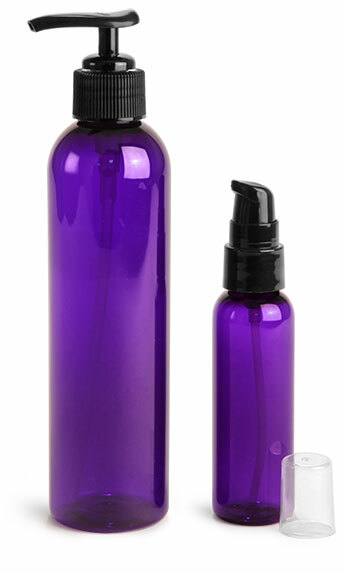 The bottles come in multiple sizes allowing you to package a travel size and full size line of your products!